VIDEO | Why Choose AutoSource? Tired of poor quality vehicle photos and unreliable service appointments? Don’t want to update your vehicle inventory on multiple websites? 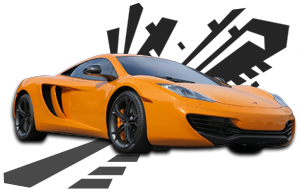 Let AutoSource take away the hassle of dealer inventory management and vehicle marketing! Top Internet Departments across the USA rely on AutoSource to turn their Online Inventory into powerful Online Marketing. When the N.A.D.A. says people visit 5 stores online and only walk into 1.3 you better be sure your inventory looks its best! 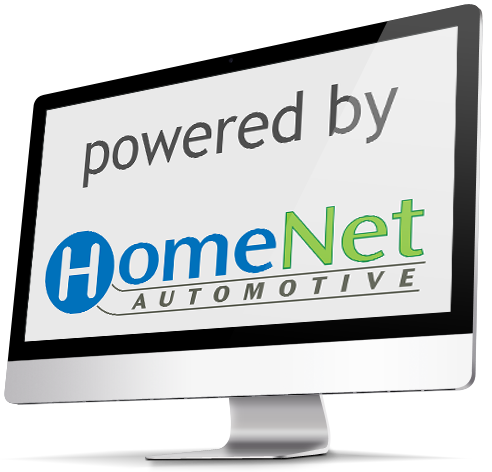 Our technology is powered by HomeNet Automotive’s Internet Vehicle Marketing Suite. This powerful tool is behind our professional vehicle photos, window labels, and buyer’s guides. It also includes their HomeNet IOL (Inventory Online), which automates the online vehicle submissions and updates. Knowledge is POWER! Compare your inventory prices to the current internet listing price of more than 2.5 million vehicles nationwide, with integrated Kelly Blue Book values. 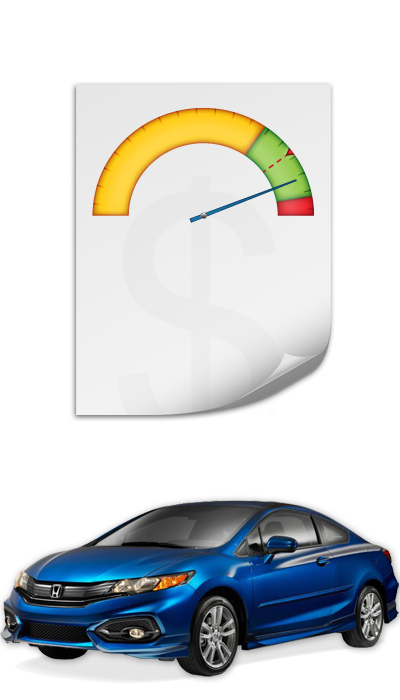 Use this new feature to see how corresponding vehicles are priced on the internet. We understand which marketing solutions will give you the best leads – leads that actually convert to sales. The key ingredient to conversion is Merchandising. This requires not just more pictures and videos, but high quality content and at a more efficient rate. The true ROI behind AutoSource is with increasing your speed to the online marketplace and improving the quality of your online presentations. This will draw consumers to your products online, and even more so as you build their trust through consistency. IF YOU’RE NOT CONSISTENT YOU’RE COMPLACENT. Our automotive video marketing platform contains content such as Certification and Carfax videos which will build VALUE in what you’re trying to market. Your goal should be to build value in what you’re merchandising, a simple video alone won’t do it, regardless of how cheap it is. Our platform with enhanced video features will allow you as the dealer to reach potential buyers on a far wider and more effective scale. All videos can be exported to any participating third-party lead providers. What you envision for your online presence is important to us. Key to understanding your professional and creative vision is consistent communication. Never will we show up and leave you with an invoice wondering what just happened. Instead, we work with you to accomplish your online goals and grow your market share. 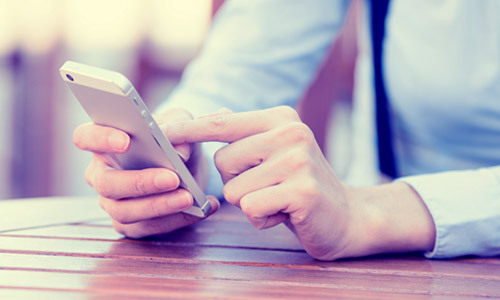 Your local representative is always just a phone call away, and each representative handles only a few dealerships to ensure every detail is cared for quickly. Michael is founder and President of Lazy Palms Productions INC, a Florida-based advertising firm that specializes in photo, video and data distribution. 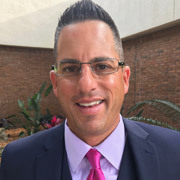 From his Palm Coast office, Garrison oversees the daily activities in Information Technology, Dealership Relations and also provides in-field training and support. The centerpiece of Garrison’s organization is AutoSource, a vehicle marketing solutions partner. Founded in 2003, AutoSource has grown into a respected industry leader, providing online dealer inventory management and marketing solutions to several high profile dealer groups in the southeast. In 2009, AutoSource pioneered mass marketing of vehicles in a true video format, allowing customers to purchase vehicles in a way previously not envisioned in a franchise environment. 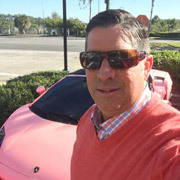 Garrison is regarded by many of his clients and peers as a leader in creative and effective automotive marketing. 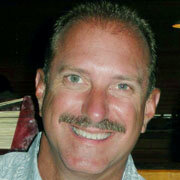 Kevin’s experience in the automotive industry began well over three decades ago. He has assisted customers all over the world. His experience includes but is not limited to: design, sales, photography and graphics. 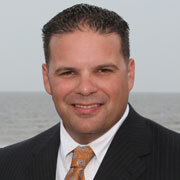 Presently he enjoys working with dealerships in improving their online presence, a must in today’s market. He directly handles customer service, in fact he insists upon it. Kevin also oversees daily operations, providing training and support to AutoSource photographers. Kevin enjoys spending his evenings and weekends with his wife, Amanda, of 29 years. They enjoy boating, live music, cruises, and spending time on the water or next to it pretty much anywhere. They also volunteer regularly in their community. With over 15 years of successful sales, management and customer service experience, Matt’s “make it happen, get it done” attitude, along with his constant drive to be a leader in Digital marketing stem from his background in competitive sports. Matt captained his 3 time national champion in line hockey teams and can still be found skating at the local rinks on the weekends. His relationships in the car industry are built on delivering the highest level of customer service and support, and having outstanding product knowledge. From his central Florida office, Matt oversees the daily operations including sales, customer relations and oversight of photographers. His interests in life are his wife and two children along with any and all outside activities. James has nearly 15 years in automotive experience and has worked for some of the largest dealer groups in the southeast. James has excellent communication skills which allow him to be the perfect conduit between our dealerships and AutoSource staff. He regularly works in the trenches developing our greatest assets “our employees” to create better processes and create better communication between AutoSource and its dealer base. When not at AutoSource James enjoys spending time with his wife Tracey and two children Kennedy and Christian. James also regularly volunteers in his community. 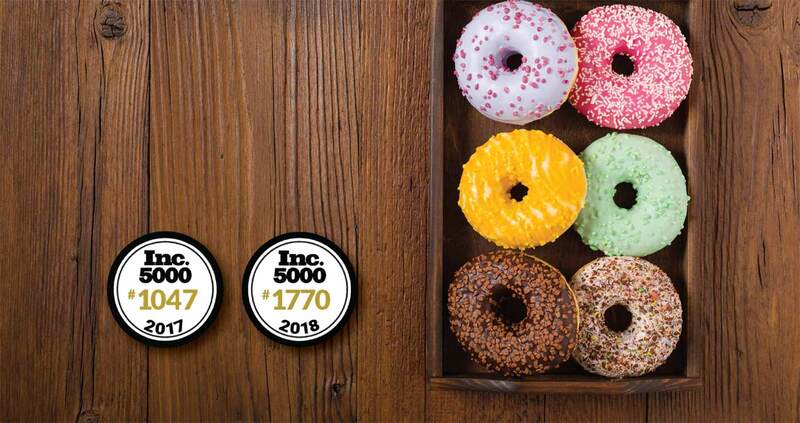 Highly accomplished results driven accounting and financial management executive with more the 15 years of progressive experience in finance and operations management with startups and multi-billion dollar organizations. Season’s ability to streamline business operations help drive growth and increase efficiencies add to the financial stability of the AutoSource Group. At the end of the day, Season is a highly devoted wife and mother to her 3 children. She is an active volunteer in her community and a proud cancer survivor. 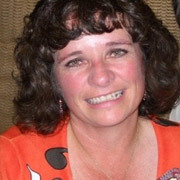 Jill has over 30 years in Clerical and Office experience. She started her clerical career and office management as a Legal Secretary for a Law Firm in Ohio. She spearheaded the computer development in her law firm, training other clerical staff on computer skills. She worked as a personal Secretary to several of the senior Lawyers during her years working in the Law Firm. After moving to Florida she worked for a major Paper Company in the clerical and shipping departments. For the past five years she has been the Comptroller for AutoSource. 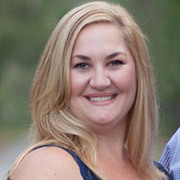 Her duties include billing, payroll and general communication with the many dealerships serviced by AutoSource. Jill enjoys spending her off time with her husband Gary of 31 years. She also enjoys spending time with her grandson, son and daughter-in- law as well as her extended family. Her family enjoys spending time volunteering in their local community. Her hobbies are card making and spending time at Central Florida theme parks. Joe’s roots began in customer service where he worked at his grandparents’ hometown family restaurant in upstate NY from his youth through his college years. His parents and grandparents instilled in him a tremendous work ethic and respect for the customer service industry. After 11 years in education, Joe’s love of teaching coupled with his tech savvy abilities led him to AutoSource as the Director of Technology. 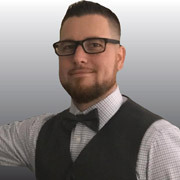 Joe is responsible for Managing Technical Support, Researching New Technologies, Design, and much more for the AutoSource Group. Joe loves being a part of the AutoSource TEAM and is dedicated to maximizing customer service excellence. He works hard every day to ensure the needs of customers and his team are met and exceeded. At the end of the day, Joe enjoys coming home to his wife and two children. In his free time, Joe loves to Mountain Bike, Design and is always willing to help one in need. As the founder and President of AutoSource, I’m confident that we can help your dealership and look forward to talking with you! Simply fill out the form or call at any time. 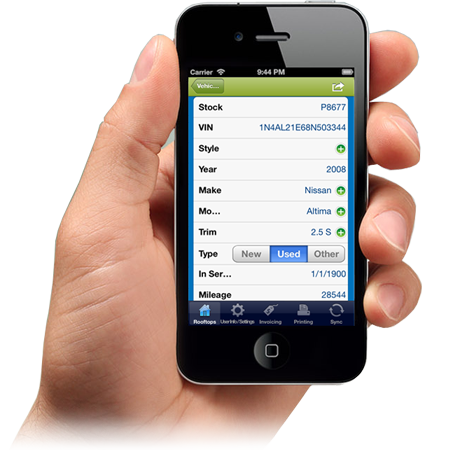 We provide web-based inventory management and marketing solutions to automobile dealerships. Our video marketing technology has been a true pioneer in the industry, allowing dealerships to reach potential buyers on a far wider and more effective scale.